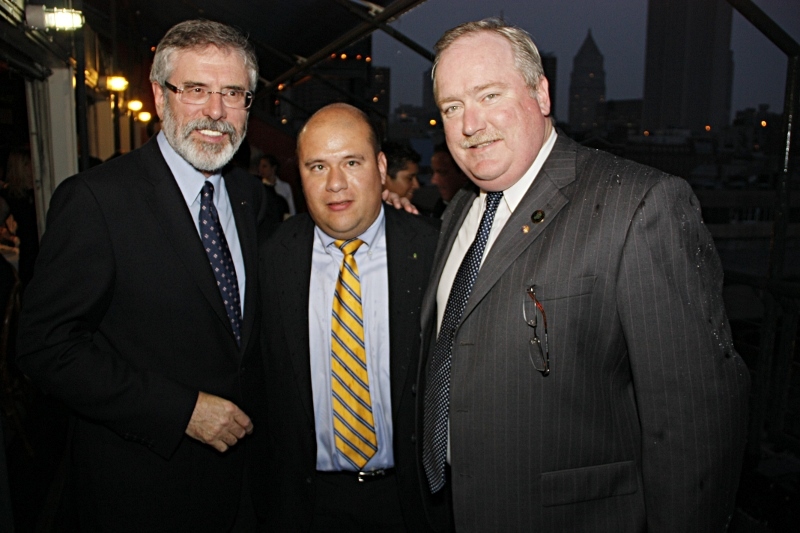 Sinn Fein President Gerry Adams met with New Jersey AOH President Sean Pender and New Jersey AOH Treasure Sean Hughes while he was on a recent trip to New York City. They had an opportunity hear an update on the Irish political climate and how influential the US Irish have on the peace process throughout the years and the need to be vigilant in the years to come. They were all at the Irish Echo salute to Top Labor Leaders held at Harbor Lights at South Street Sea Port.